Chris loves helping the community and friends become the best they can be. He and his team determine the source of their clients pain or problem in order to provide the proper treatment for them to minimize their pain and maximize their function. Chris lives in Asheville with his wife, Lara, their two sons Isaac and Eli, dog Bueller, and cat Blitzen. He most likes Physio because it feels good to know your advice, or treatment helped someone who needed it. We are continually working to better our organization, and are given every opportunity to create the best environment to help people achieve their goals. Our dedicated staff truly cares for our patients. He loves seeing a client for a short time and being able to make a big difference for the better in their health and well-being. 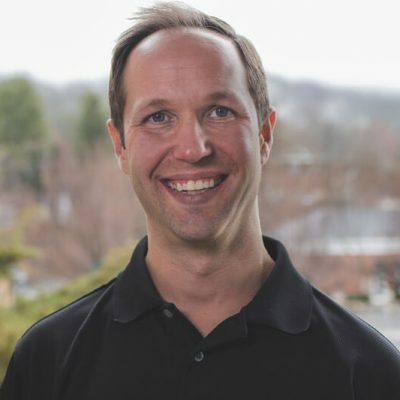 Chris became a physical therapist because he loves to work with and help people. It really makes him feel good when he can make a difference by helping others decrease their pain and increase their function. He ruptured his Achilles a few years ago and became a patient himself, which he feels gave him a unique perspective so that he can make other’s experiences with physical therapy that much better.